The Saint Louis Linux Users Group (STLLUG) is a non-profit, volunteer group that provides support and/or education for Linux users. Ken Johnson will discuss the use of Password Managers. Why do you need one? He will show how to implement one with KeePassXC as the working example. 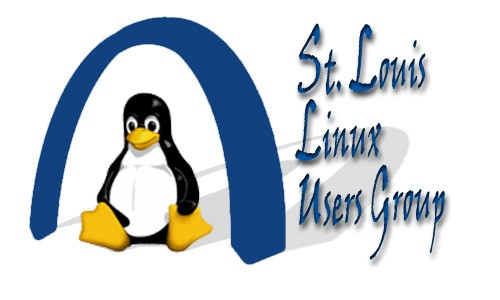 The Saint Louis MO, STL Linux Users Group (STLLLUG) meets monthly to learn and talk about Linux. This GNU/Linux Users Group usually holds its meetings on the third Thursday of every month. Meetings are free, public and open to all. We start gathering by 6:30PM and at 6:45PM we start with introductions, announcements, current events of interest, and a general CALL FOR HELP segment. Then we will go into the presentation of our main topic, sometime around or after 7:00PM. STLLUG is loosely affiliated with the St. Louis Unix Users Group (SLUUG), as one of its Special Interest Groups (SIG). Under SLUUG care web page support is provided. Individual membership dues, fees or other charges are NOT required. These meetings are free, public and open to all. 2019-05-16 TOPIC To Be Determined Offer to talk! 2019-06-20 TOPIC To Be Determined Offer to talk! 2019-07-18 TOPIC To Be Determined Offer to talk! 2017-02-16 Comparing Docker Containers in Linux vs MacOS by Mo Hassan of Splunk Inc.
2008-08-21 Open source language technology using statistical methods by Associate Professor Kevin Scannell, PhD. 2008-06-19 VirtualBox for SuSE and Vista/XP by Lee Lammert and ?? Jeff L.
We have been meeting continuously since July 1995. Contact us if you have a presentation you would like to have considered for selection.